Flea Market... can it get any cuter? 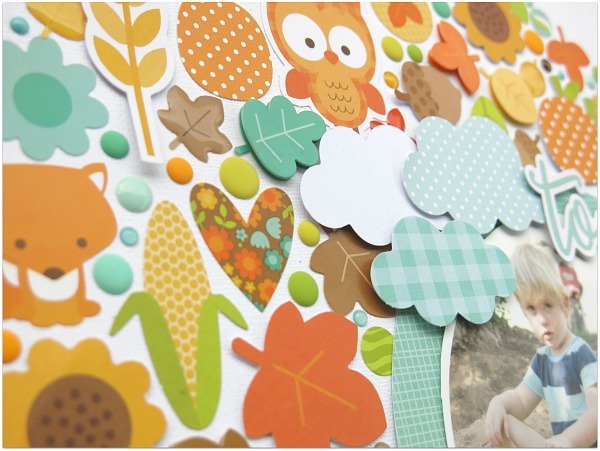 At the mere mention of the name you envisage all sorts of eclectic goodies combined with a dreamy fall color palette and the all important whimsical creatures. I honestly couldn't wait to get started with my project as I'd already had a photo in mind and I'd even pre-drawn a rough layout... you could say, I was all set to go! My littlest muchkin was enjoying the last of the warm Autumn weather and decided he'd spend the afternoon with his fur-companion Miss Lizzy. I'm sure the dog wore more sand than was absolutely necessary but she didn't seem to mind. I printed out the photo in a circular shape as I wanted to incorporate it into my round collage instead of plonking a square photo on top. I used a dinner plate to draw my outer circle for the collage and then adhered the photo in position using foam pop dots so as I wanted it to be slightly raised so I could slide a few bits and pieces underneath the edges. Then it was decorating time!!! And can you spy the beautiful new 'Petite Print' pattern... this particular side of the double sided patterned paper is called 'Linen' with the reverse side being 'gingham'. I think it is my new favourite of the Petite Range. 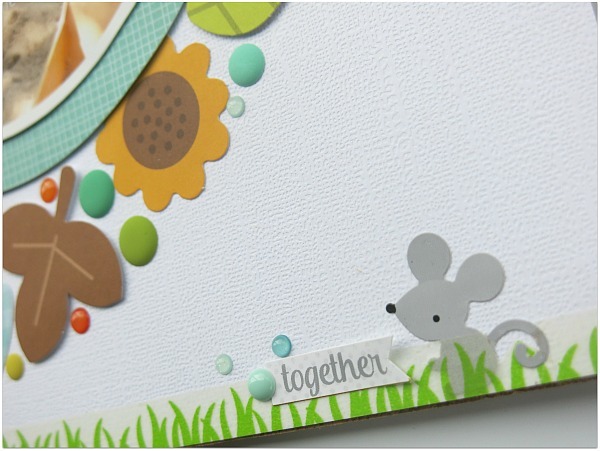 As a last little feature I wanted to add one of the tiny little mice and hide him in some washi grass. Awww, he is too cute! If you can't wait to get your hands on the 'Flea Market' collection then head on over to Melinda's FACEBOOK PAGE or INSTAGRAM or both to enter her Giveaway! WOW!! 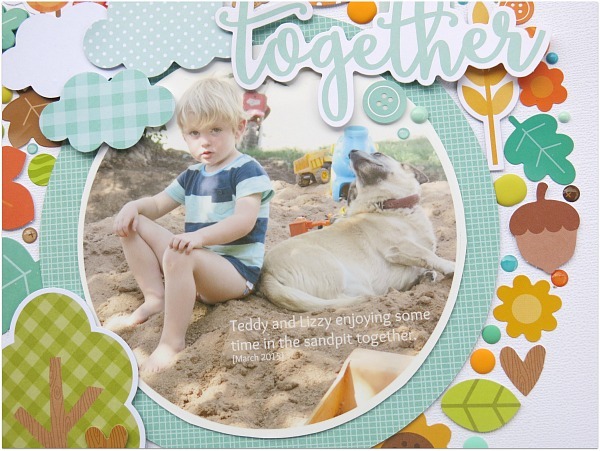 This is fabulous Melinda, and your little guy is too cute! Thanks Mendi. I actually did the journaling on the photo simply because I didn't really know where else to put it. Melinda, your layouts are so unique and intricate! I love seeing them. Can you tell me what software you used to print the round photo? Thank you in advance! Hi Sheri, thank you for your lovely comments, that's very sweet of you. I actually created the round photo using PicMonkey which is a free on-line editing software. Hope this helps.